Septic tank pumping is a vital maintenance task that ensures your waste water system is in working order every time. But what does it take to pump a septic tank? Keep reading to find out. 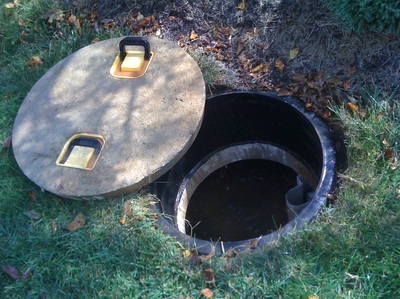 A septic tank needs to be pumped regularly, at least every two to three years if you want it to keep working properly. 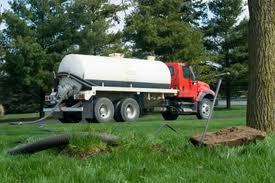 When done right and on time, the septic service can cost you a few hundred dollars. But if left for decades, septic tank cleaning in Erie, PA can end up being a septic tank replacement, costing you a whopping $5,000 to $10,000. 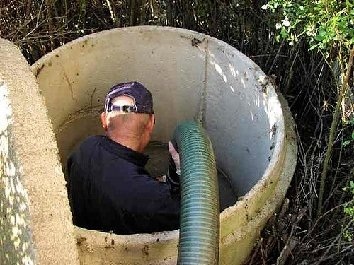 When it comes to septic tanks pumping, here’s what you need to know about our septic service…. Even though there are many vague septic service companies mushrooming around, Omni Plumbing & Septic Service has proved to be not only a premier but also the most genuine septic tank repair company in Erie, PA with over 25 years in the septic business. Our clients have acknowledged our unique efficiency, outstanding customer care service and our unmatched service delivery and have rated us the best septic tank pumping service provider in the greater Erie, PA.
A septic tank is very important. And since most of them are built with modern technology, they need utmost repair and maintenance, and specialized handling and septic tank care in case they become problematic. When that happens, it should never be the end of their life span especially when you have our experts nearby. At Omni Septic Service, we boast competent plumbers and exorcists with hands on experience fixing septic systems within the shortest time possible; hence giving you continued convenience and comfort in your home. With well-equipped septic pump tracks, our exorcists and plumbers are able to do the dirty job for you including septic cleaning and maintenance, septic drain field repair as well as grease trap cleaning service. With today’s modern homes, your septic tank must remain innocuous all through. It is worth noting that the higher the number of people who use your septic system, the more the water will flow, filling up your septic tank faster. And this will call for frequent pumping. Do you have a septic tank in your Erie home, and if so, how much pumping and cleaning does it require? When your septic tanks require pumping, you need a highly experienced plumber and exorcist like Omni Septic in Erie, PA. Don't trust your septic tank repairs, septic installations or septic tank cleaning to anybody else but the best! Is your toilet overflowing or bath spigot filling your tab with water? Let our reputable pros offer you a secure and long term septic pumping solution today. Call us now on 814-868-9389 for more information.